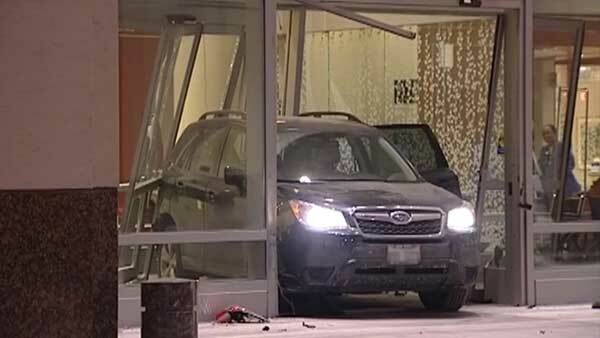 CHICAGO (WLS) -- An SUV crashed into the front lobby of Northwestern Medicine's Prentice Women's Hospital on Chicago's Near North Side overnight. A source told ABC7 Eyewitness News that a couple having a baby gave their keys to a valet. Police said a valet driver confused the gas pedal with the brake pedal and drove through the revolving doors around 2:45 a.m. Wednesday. The building, located near East Superior Street and North Fairbanks Court, sustained minor damage. No one was injured. Police do not expect any citations to be issued.